The people of Santa Cruz County have spoken. On June 14th, 2016, PG&E’s planned removal of 300 trees on Graham Hill Road, which is located between Santa Cruz and Felton, has been blocked. PG&E has stated that the planned tree removal was to ensure pipeline safety, but that wasn’t enough to convince residents. 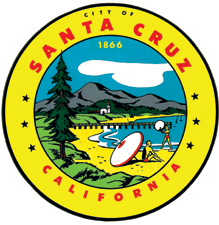 It also wasn’t enough to convince Santa Cruz County supervisors either, as they voted unanimously to temporarily halt the removal and to work on reaching an agreement with PG&E in order to ensure that they’re able to adhere to state and local environmental regulations. The impetus for this reversal is a petition that was started on Charge.org by Barbara Hanson of Felton. It was able to garner over 750 signatures and is still ongoing, despite Felton’s population of just 4,100. The petition alleges that the Ponderosa pines, redwoods, and coast live oaks that were going to be removed are aesthetically-pleasing, not to mention also an important part of the urban forest. 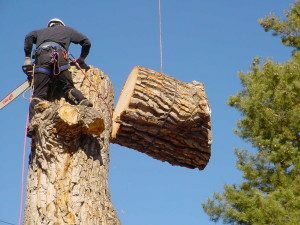 In fact, local residents and activists have brought forth numerous additional reasons to support their skepticism of PG&E’s proposed tree removal. The co-chair of the Valley Women’s Club of San Lorenzo Valley, Nancy Macy, for example, has stated that many of these trees are essential in ensuring that the soil remains stable along the pipeline. Other residents have noted that they have not seen the trees cause any interruptions in emergency access, despite PG&E’s claims to the contrary. How the removal may affect the federally-protected sandhill habitat, a county park, and the riparian corridors in the area. The further need for assessing the trees that are on county property or in the county right-of-way. It doesn’t appear as if this issue will be resolved anytime soon. That’s because it will take some time for PG&E to address the concerns of Santa Cruz County officials. Furthermore, each particular town or city within Santa Cruz County has issues specific to them, meaning that any approval that PG&E hopes to get might have to be on one-by-one basis. Regardless, the important thing is that a decision is made that has the health of the local environment in mind, including maintaining the ecological system of the area. Are Your Surrounding Trees or Vegetation a Fire Hazard?